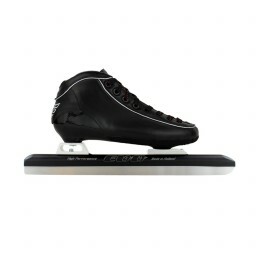 EVO Adore with fixed Chrome blade: A good skate don't has to be expensive! The Adore glass fiber shell is very good head moldable, so it will fit almost for every foot. The EVO fixed blade is very strong and easy to steer. When the skater is ready the fixed blade can easy change to a klap blade, the perfect skate to learn and grow. EVO skate recommends a radius of 25 meter, because the tube steers very good by using the EVO Arc Technology.